We recently returned from a trip to Park City, here in Utah. We were feeling the need to get away, but wanted to stay fairly close to home. We had a great time. Rode bikes, swam, shopped, ate, and I even took a nap. Gasp! I know. I can't remember the last time I took a nap. It seems our vacations get better and better every time we take them. Not because of where we go, or even how long we stay, but because my husband and I are getting better at taking a vacation with kids. The first time we took our kids on a road trip, my husband made it clear we would not be stopping. Now up to this point, when he and I traveled, we didn't need to stop. But with kids in the car. Never stopping just wasn't realistic. Our small children were ornery and impatient. After 11 years of marriage, 4 kids, and a numer of family trips, things are really starting to look up. This last trip was a success start to finish. In large part by following a few simple suggestions. Expecting kids to sit in a car or on a plane for hours, without ever moving or stretching their legs, is not realistic. Expecting them to stay out all day without naps is not realistic. Be sure you have realistic expectations for your kids and the trip. Traveling can really mess with my stomach. I can't image how kids might feel. When you go on vacations, work to offer your children foods they are familiar with and foods that are easily digested. Plus, familiar foods will be one less thing they have to adjust too. 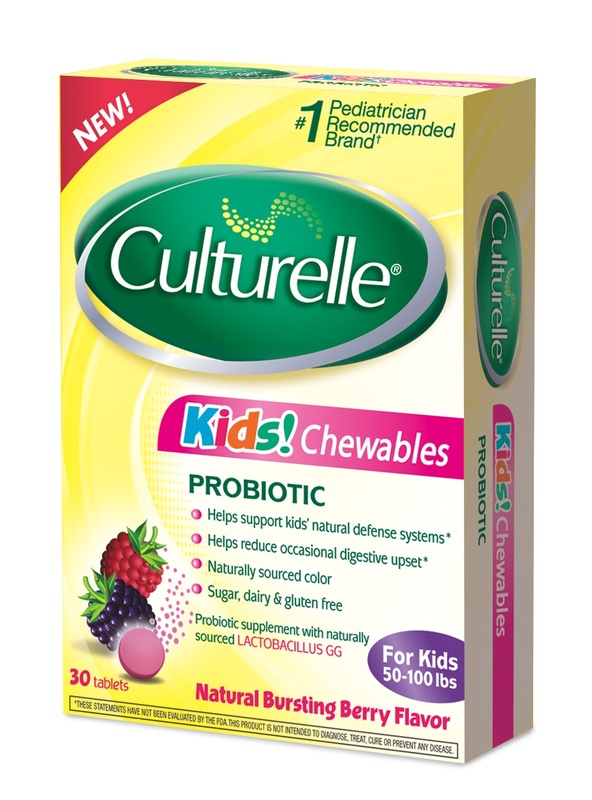 Our pediatrician also suggests giving the kids a probiotic such as Culturelle Kids. Culturelle helps keep a natural balance of good bacteria in the digestive tract. So when we travel that means less upset stomachs. Even though you are traveling, plan to keep to a normal schedule, best you can. Find a way for your little ones to take their naps, keep meal times consistent and try not to burn the candle at both ends. 4. Always have something to drink. This might sounds silly, but so many problems can be alleviated with a drink of water. Bringing snacks on a trip are a given, but it is easy to over look having something for our kids to drink. Anticipate being thirsty, and when the whining starts, offer a drink. 5. Plan something kid friendly every day. Find a few minutes everyday of your trip to do something specifically geared towards the kids. Stop at the park. Go swimming, go for a walk, visit the zoo. 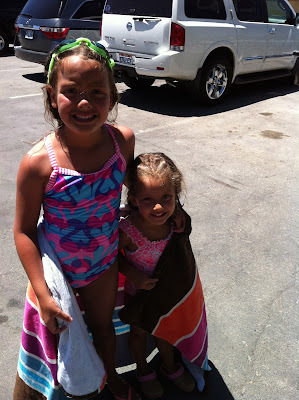 This will not only keep things familiar, but let your kids feel like the vacation is for them also. Although simple, these suggestions will help keep kids happy, which keeps parents happy. That means a happy vacation for everyone. Good things to keep in mind as you take your last "summer" vacations of the year, and start to prep for holiday travel. Find more tips on traveling with your kids. Do you like to travel with your kids? What is your best family travel tip? I was compensated for this post, all opinions expressed are my own. One of my best tips is travel with a night light (for hotel, motel or guest rooms). It seems to offer a sense of calm and security in an unfamiliar setting. just in time for our weekend trip to Nauvoo! When we take long car trips (longer than 5 or 6 hours), I look at approximately where we'll be every two hours and locate a park in that town as close to the highway as possible. That way if we're really desperate, we can tell the children that we're stopping at a park in x minutes and give everyone a chance to run off that built up energy. I agree that you have to keep a routine when taking a trip with the children. I always make sure that I stop at rest areas or parks to have a picnic, so they can get out and stretch their legs. Keeping them entertained in the car is always important, so I let the kids pack a backpack full of activities for the ride and I bring along my iPad as well. With the iPad, the kids can play games, read, and watch movies on our Blockbuster@Home service. A co-worker at Dish told me about this service, so I downloaded the Dish Remote Access app and the kids can access our Blockbuster streaming. They have several family movies on there, so the kids never get bored with the movies and they can always find something to watch. It is such a lifesaver when you are traveling for hours. Being military we move... A LOT! At the end of next month we are moving from UT to NY and it is going to take us 7 days to drive. Eeks! We have a 4 yr old and a 5 month baby that is breastfed. We have already decided that every time that it is time to feed our baby that my hubby will take our 4yr old and 2 dogs to run off some steam. I know that I, personally, am against TV in the car but when you are traveling long distance I KNOW that it is a good break. We moved here from AL 3 years ago and stopping at least every 2 hours was our only realistic goal. Also, if the kiddos are sleeping, parents need to push through. And did I mention that we are driving 2 vehicles? I am dreading this move.